Leura is a suburb in the City of Blue Mountains local government area that is located west of the Sydney central business district in New South Wales, Australia. 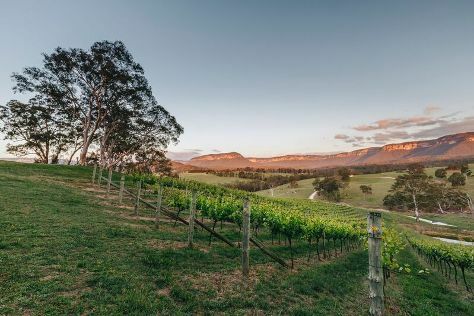 Kick off your visit on the 16th (Sat): do a tasting at Dryridge Estate, look for all kinds of wild species at Logan Brae Orchard, then hike along The National Pass, and finally don't miss a visit to Sublime Point Lookout. Here are some ideas for day two: take in the exciting artwork at Blue Mountains Cultural Centre, take in the awesome beauty at Pulpit Rock Lookout, then see the interesting displays at Lithgow Small Arms Factory Museum, and finally take some stellar pictures from Hassan's Wall. For ratings, more things to do, photos, and tourist information, you can read our Leura driving holiday planner . Sydney to Leura is an approximately 1.5-hour car ride. You can also take a train; or do a combination of bus and train. February in Leura sees daily highs of 33°C and lows of 20°C at night. Finish your sightseeing early on the 17th (Sun) to allow enough time to drive back home.